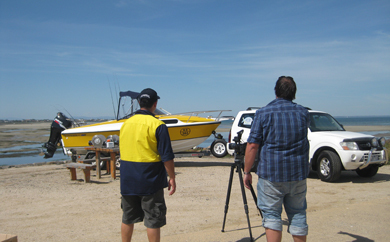 Nick and Eleni from Savwinch were at the Altona Boat Ramp yesterday for the filming of the upcoming Savwinch commercial for Channel 31. The 3 month TV Advertisement campaign will commence on the week of the 26th March 2012. Hoping to promote our products to a broader audience and capture fishing enthusiasts that may be interested in a boat anchor winch for their boat but not sure what’s out there. It will appear during most of the major men’s adventure and fishing shows including River to Reef on Fridays at 9pm, Catch & Cook on Fridays at 9.30pm and You Fish on Saturdays at 11am. The ad will highlight the main features of our Savwinch winches including that they are locally made in Australia, high quality, with unique features and built to last in harsh marine environments. 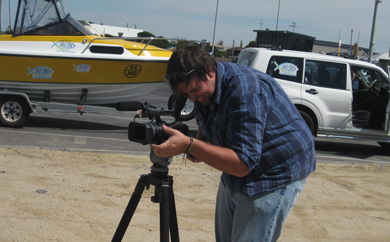 So look out for our new exciting TV campaign as we launch our NEW WORLD FIRST SAV-EFF, electronic fast fall system and other great boat anchor winch products from SAVWINCH. To watch the video in action navigate here.